This application form will not be accepted unless Part ‘B’ is completed by your Employer/Sponsor and Accompanied with Application Fee of N5,000.00 payable to UITH SCHOOL COMPLEX ACCOUNT using your ATM card on this platform. Examination is both written and Oral. Examination Date: 10th June & 11th June, 2019. Venue: CHO Training Institution, UITH School Complex, Old Maternity Wing, Amilengbe, Ilorin. 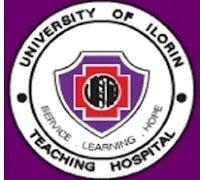 The applicants should send two (2) completed forms and attached with photocopies of their credentials to the school either personally or by courier (address to the coordinator CHO Training Institution, UITH Ilorin) on or before 10th June , 2019. Holder of Diploma in Community Health with Not Less than two (2) years post Qualification Experience plus Five Credit OLevel Passes in SSCE (WASCE, NECO, or GCE O/L) at not more than Two (2) sittings which most include: English language, mathematics, Biology, Physics and Chemistry. This date is subject to change at the discretion of the Management, please visits the website a week before the Examination date for any change. Ensure you print out the information page to guide you. The completed form must be submitted accompanied with photo copy of your credentials to CHO School and the registrar office on or before 10th June, 2019, failure to do so the candidate will not be shortlisted for the examination. *Fill the initial form and Upload your Passport Photograph according to the specified size, and JPG or PNG format.